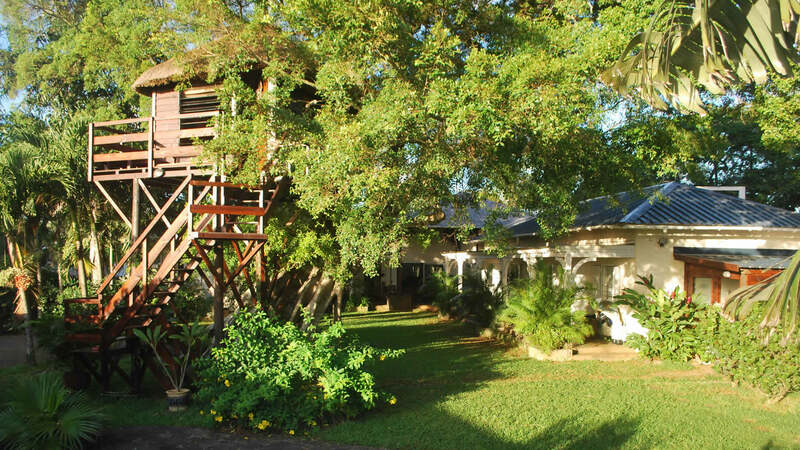 The tree house cabin, perched 4 metres up is equipped with a double bed and balcony, the bathroom is at the foot of the tree, accessible by a staircase. The 1st room called “Explorateur” has a double bed, a terrace and a separate bathroom. The 2nd room called “Baobab” has twin beds, a terrace and separate bathroom. The pool, to relax and rest after an intense busy day exploring.